When seeking seed funding, there are a number of angel investment organisations across London. Below are some of those known for their digital health interests. It’s also worth ensuring you’re up to date with the tax benefits of early stage investments. 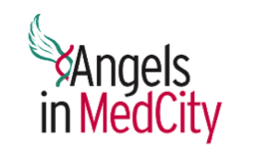 Angels in MedCity is a partnership between MedCity, London Business Angels and Angels4LifeSciences. The programme aims to introduce new and existing business angels to investment opportunities from healthcare and life science companies. The programme has been devised and is delivered by London Business Angels. The London Co-Investment Fund is founded and managed by Funding London and Capital Enterprise. It has raised £25m from the Mayor of London’s Growing Places Fund to co-invest in seed rounds between £250,000- £1,000,000, led by our selected co-investment partners. Bethnal Green Ventures is an accelerator programme for people who want to change the world using technology. It invests in and supports great teams with new ideas to help build solutions to social and environmental problems through an intensive three-month programme. For its investors to be able to claim and keep the Seed Enterprise Investment Scheme (SEIS) tax reliefs relating to their shares, the company which issues the shares has to meet a number of requirements. Some of these apply only at the time the relevant shares are issued. Others must be met continuously, either for the whole of the period from date of incorporation to the third anniversary of the date of issue of the shares, or in some cases, from date of issue of the shares to the third anniversary of their issue. If the company ceases to meet one or more of those conditions, investors may have their tax relief withdrawn.